We’ve had a bit of a tough week this time around. My time was pretty limited since I spent a lot of it with my elderly Aunt. She ended up being hospitalized this week, and neither her place nor the hospital allows me to spend time at the computer or in the studio. So when life hands you lemons, you try to make some lemonade. 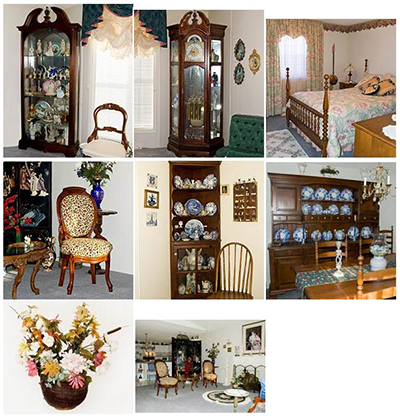 While I was at her place I used a little time taking some interior shots of her home to add to my “Interiors” collection. I wasn’t well prepared for shooting indoors since I don’t carry around my lighting out of habit, but some of them aren’t bad, and she has an interesting home. Some of the shots I set aside to isolate for .png files and I haven’t been able to get around to that yet (but I've managed some of them - some of the furniture/chairs have been isolated as .pngs and can be found on JustPng.com), but here’s a sneek-peek at some of the new stuff in the interiors section. Along with these there’s a few photos added to some of the other sections, but on the whole my time has been spent elsewhere this week. 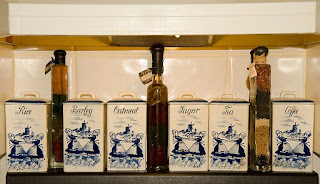 In the “General” section is a set of antique ceramic/china canisters in blue and white (really “cream” as opposed to white) often referred to as “delft” – these indeed have a pattern of dutch girls on them. The thumbnail doesn’t show the complete set – there are two additional pieces visible in the larger photo. My Aunt has owned these as long as I can remember, so they’ve been in her possession for 50 years (give or take) and were purchased for her from an antique shop. 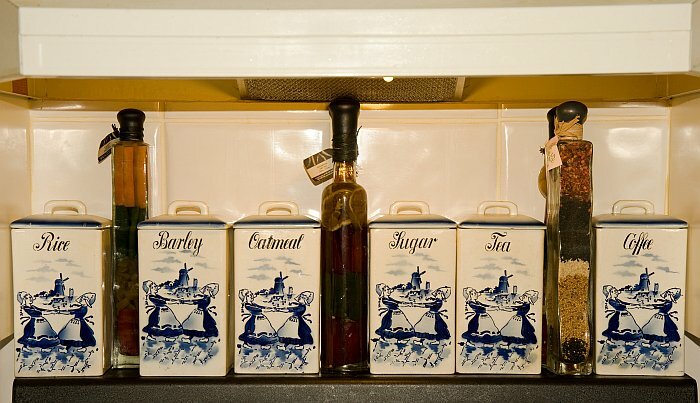 My Aunt has always loved the delft ware and has collected it and other similar blue and white china since the early days of her marriage. It would probably take me 2 or 3 eight-hour days to photograph all of her pieces. 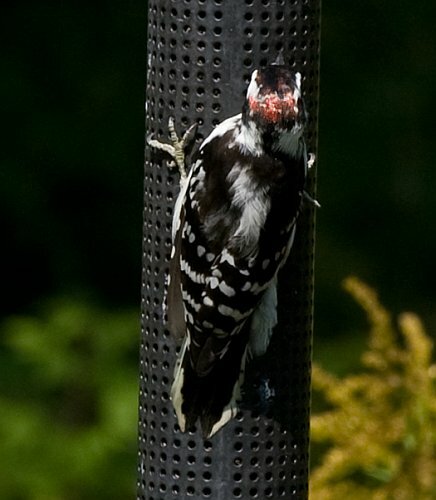 There’s a few new files in the food category, a new image in the birds section (cute little Hairy Woodpecker isn't he? ), a couple of new dogs in the pet section, and a couple of new landscapes as well. 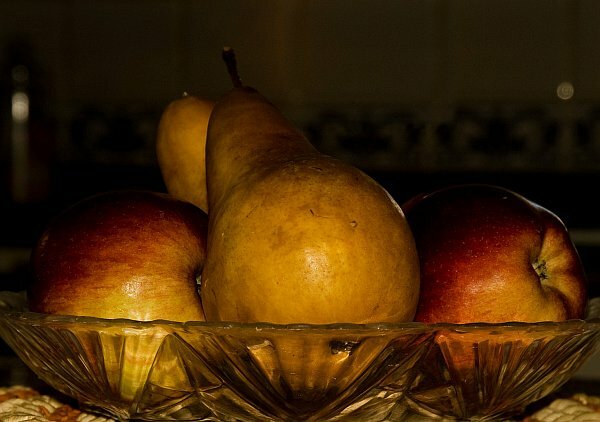 One of the new photos in the food section is this image (below) of golden coloured pears and red apples in a cut glass bowl in a darkened kitchen. A little bit on the artsy side rather than pure stock, but it turned out rather well. There’s the usual assortment of backgrounds and texture files this week as well. On the graphics page you’ll find the featured “seasonal image” is a newly created and just released graphic for St. Patrick’s Day. I am hoping I’ll find enough time to create a few more before it actually arrives, so if you are a fan of St. Paddy’s then you might want to sport this graphic on your blog.